According to Forbes, teenagers in the US spend an average of 9 hours/day in front of a screen. According to my high school friends, the one app that most captivates their attention is Snapchat. While there are plenty of dangerous aspects of using Snapchat, there are also some helpful ways to use it in your Young Life club. I asked Steven Ball, a YL leader in Missouri (and the genius who invented the famous 'Just DoIt' Shia Lebeouf camp promo videos) if he would share how they use Snapchat in his club. Club: pictures and videos from Club each week—winners of games, short videos from the skits, a fun crowd shot of everyone with their arms around each other singing their hearts out. This allows kids to go home afterwards, watch your Snapchat story, and remember the fun times they had at club. Or, if some kids didn’t show up, they can see how fun club was and thus make them wish they were there. Contact work: When we go to school or a sporting event, we post pictures/videos of the opening kickoff, great shots, the crowd cheering, the band playing the school fight song, the cheerleaders cheering, dance team dancing, or anything else that might be going on. This allows kids to know that we are there even if they don’t see us. It also lets the players know we were cheering for them, even if we don't get to talk to them after the game. Announcements: For club and events (time, location, due dates for fundraisers, etc.) and various behind the scenes moments. For us, a lot of this happens in the time right before club when we are preparing; us joking around, practicing the music, or (most recently) taking a pizza box and sledding down a hill. A warning to anyone who plans on using Snapchat for Young Life is that it is very easy to be absorbed in what you are trying to get on camera rather than what is actually going on around you. Use it in moderation. I have fallen victim to this, missing opportunities to talk to kids while I’m trying to get the perfect shot of something. This should never be a distraction from your primary role as a Young Life leader, only a fun way to post a few quick things for all to see. One way that I have used it to my advantage is by giving my phone to one of my kids and asking him to go run through a crowd and get a video of everyone cheering. This was a great way to put a little trust in him and start a conversation. Also, don’t be a Snap-hog. Let other leaders (a balance of guys and gals) use it. They may be able to get other things that might be awkward for you to get. Or if you can’t make it to something, someone else should be able to use it. Snapchat allows you to post publicly to everyone that has added you. However, it also allows you to have one on one conversations with any of those friends. It is best to avoid sending any snaps to kids personally. However, I have had a lot of kids that will message me or snap me on Snapchat asking questions about club or camp, which I will reply to. This has been a great tool of ours this past year, but you must be careful how you use it. You should obviously never post something that a kid would not want everyone to see, so it is best to ask permission from the kids before posting pictures or videos of them. Setting up the account is pretty self-explanatory once you download the app. You’ll need an email address, a password, and a username (ours is the name of the high school we leader at—BlairOaksYL). You can change all of these at any time in the settings. You may need to do this if the previous owner of the account is no longer a leader and the account has fallen to a new leader. Whatever you do, DO NOT attach your phone number to this account. I learned this the hard way. When you do this, it will import your contacts so that you can add friends by your phone number. This sounds great, but what you don’t realize is that when you start adding kids, it will appear as your name, not the name of your Young Life team. It is best to leave no phone number attached to the account. If you do end up attaching the number, you can always go back and take it off in the settings. If your number is attached to your personal account and you add it to the Young Life account, it will remove the number from your personal account. All you have to do is re-attach it to your personal account. Switching between your personal account and the Young Life account can be a pain. There is no way to log on to both right now like Instagram and Twitter. If you allow access to multiple leaders, just know that you will be signed out of the account when another leader signs on. Snapchat makes it very easy to add friends, providing many options. 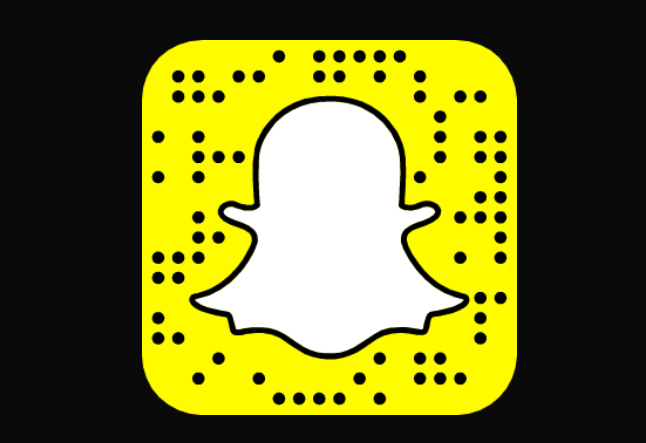 One of the best ways is the snap code, shown below. Basically, each account has its own personalized QR code. 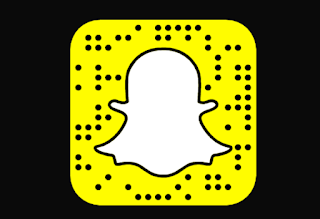 All your kids have to do to add you is to point their Snapchat camera at your Snap code (accessed by pulling down on your Snapchat camera) and then tap on the image of the code on their screen. One of my little tricks was to take a screenshot of our code and insert the picture onto our PowerPoint slides for our announcements during club. All the kids had to do was pull out their phones and take a picture of the code on the wall on their Snapchat accounts. There are other ways to add friends, such as typing in the username of the account. You can just tweet your new name and people can search you to add you. Hope this helps you connect with your high school friends! I know Snapchat is controversial, and often used in ways that are harmful. While I don't personally use it, I do think it can be used for good in the way Steven has outlined above. If you have additional thoughts on using social media in your club, email us here.